The article briefly discusses the development of Jung's typology. 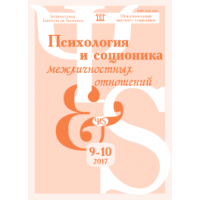 Russian and American ways to develop Jung’s ideas are compared. Similarities and differences of socionics and MBTI are analyzed. Key words: Jung, socionics, the MBTI, Myers-Briggs typology, tests, theory, development. It is demonstrated that one of the best possible methods of creating efficient workgroups is their creation on the basis of the groups of four socionic types best compatible from the viewpoint of informational, psychological and interaction exchange called Quadras. 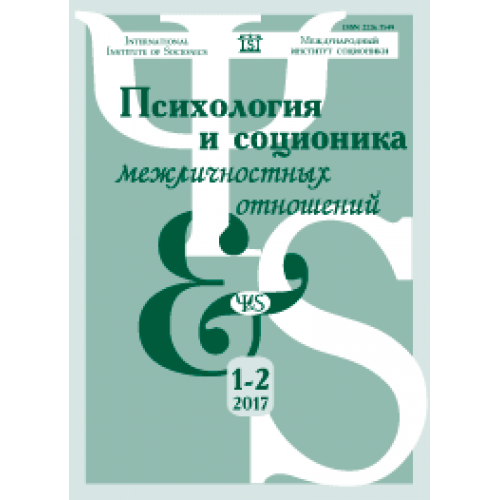 Examples from practice of consulting workgroups by members of the International Socionics Institute are given. Key words: management, personnel, workgroup formation, socionics, people types, quadra. It is described the work of model of EIE type, namely as it is perceived the outside world and the information obtained from the outside. The article highlights not only theoretical aspects but also provides analysis of introspections, which are indicative of the understanding of the TIM. The author relied on the theory and methodology of diagnostics in System Socionics School. Key words: TIM model, ethical-sensory extravert, dimension of functions, sign of function, mentality / vitality of functions. The article helps to take a new look at the manifestations of TIM ethical-intuitive introvert by analyzing and revising the basic stereotypes of its representatives. The material may be of interest to both novices in socionics and practitioners. Key words: socionics, type of informational metabolism, ethical-intuitive introvert, “Humanist”, quadral values. The author introduces and analyzes age-specific socionic analogies. A concept of integral age-specific informational metabolism type is proposed, and its influence on testing results is demonstrated. A system of intertype relationships between integral age-specific informational metabolism types is considered. Key words: socionics, socionic analogies, informational metabolism type, integral age-specific informational metabolism type, psychological characteristics, intertype relationships, type testing. The results of the analysis of the experience of living of ILI with two supervisees. Cases of adverse intertype relationship between parents and child are not rare, but the knowledge of socionics allows you to smooth out conflict situations and look at them from a different angle. This study will help both the theoretical development of socionics and in its practical application. Key words: socionics, psychology, personality type, type diagnostics, practical socionics, quadra, quadral values, Reinin traits, intertype relations, supervision, ILI, LSE. Forms of feelings and love peculiar to different socionic types are described. Manifestations of such interactions are considered on the level of dual pairs. Key words: socionics, psychology, intertype relationships, aspects, types, forms of feelings and love. This article is the fourth in a series devoted to organization of student studies, where they will learn mathematical apparatus of socionics. This time, problems will be connected with bisections of socion with the help of 8-element subgroups of intertype relation operators group. This procedure identifies only 7 sections from 6435-element set of central sections of socion. Key words: socionics, types of information metabolism, intertype relation operators, group, subgroup, central sections of socion, bipolar traits. The principle of work of the third psychosophy function had been viewed. The analysis of different methods of protection had been led and recommendations of development had been given. Key words: Afanasiev’s typology, psychosophy, personal enhancement, typology. Issue # 3-4/2017 of “Psychology and socionics of interpersonal relationships…” jo..
Issue # 5-6/2017 of “Psychology and socionics of interpersonal relationships…” jo..
Issue # 7-8/2017 of “Psychology and socionics of interpersonal relationships…” jo..
Issue # 9-10/2017 of “Psychology and socionics of interpersonal relationships…” j..
Issue # 11-12/2017 of “Psychology and socionics of interpersonal relationships…” ..
Issue # 1-2/2018 of “Psychology and socionics of interpersonal relationships…” jo..